Subaru and Subaru Tecnica International pursue two new motorsports championships in 2019. Can they win where they’ve never won before? Subaru and Subaru Tecnica International (STI), Subaru’s motorsports partner have been highly successful in the Nurburgring 24-hour race, winning five times, they have countless stage rally championships, but a Rallycross and SUPER GT Series championship have eluded the Japanese automaker. There’s a new Subaru Motorsports banner in the U.S. and more excitement planned for ARX rallycross with a new driver. Can they win where they’ve never won before? Here’s a rundown of their international motorsports activities and what they seek to achieve. The 47th Nurburgring 24-Hour Race will take place in Germany on June 20-23, and Subaru will compete in the event for the twelfth consecutive year with a newly-revamped Subaru WRX STI. Subaru has won the SP3T class (for sub-2 liter turbocharged vehicles) five times, in 2011, 2012, 2015, 2016 and 2018, and is looking to achieve the sixth class win this year. Hideharu Tatsumi, team general manager for STI will lead the effort along with service personnel selected from Subaru dealers in Japan who will participate in the race as a part of team crew together with STI engineers. Carlo van Dam (Netherlands), Tim Schrick (Germany), Hideki Yamauchi (Japan) and Takuto Iguchi (Japan) will be driving again as defending class champion. The 2019 Subaru WRX STI NBR race car has new upgrades with optimized gear ratio, improved brake balance, overhauled aerodynamics, improved chassis geometry, improved wheel stiffness, and improved road holding performance. Subaru aims for a second consecutive win in the class with the race car further improved from last year. This one has eluded Subaru since they started competing with the BRZ sports coupe race car. Subaru will compete in the GT300 class of the SUPER GT Series with the Subaru BRZ GT300 race car again this year. The SUPER GT series is widely regarded as Japan’s top motorsports category. Makoto Shibuya, team general manager of STI, while lead operations along with R&D Sport. As in previous years, Takuto Iguchi and Hideki Yamauchi will be driving for the team. The 2019 Subaru BRZ race car received refinements including improved endurance reliability and thermal efficiency in Subaru’s signature Boxer engine, an optimized balance between chassis design and aerodynamics as well as improved road-holding performance. With these new upgrades, Subaru aims to win their first series championship. Subaru Motorsports in the U.S. 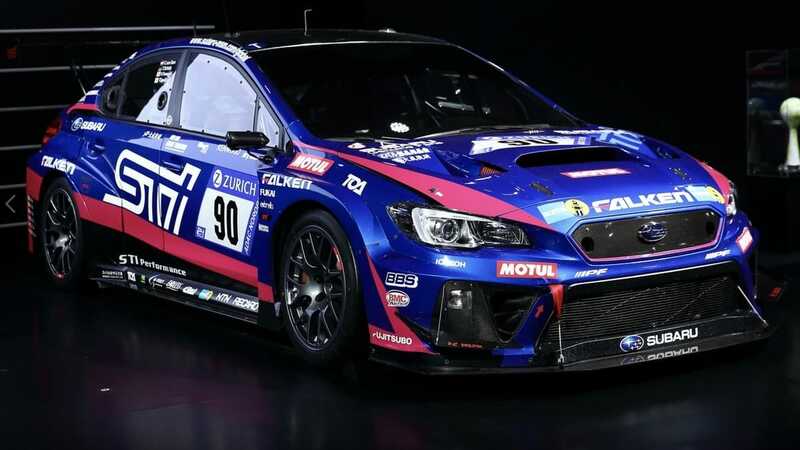 In the U.S., all racing activities will now fall under the banner of “Subaru Motorsports” where the cars return to the brand’s signature blue and gold colors with a star cluster graphic inspired by the world-beating Subaru World Rally Team cars of the 1990s and 2000s. Subaru built their name in stage rally and have been wildly successful. In 2018, Subaru Rally Team USA captured the American Rally Association (ARA) overall title. In 2019, Subaru will compete again in the 2019 ARA Championship with David Higgins and Crag Drew and Travis Pastrana behind the wheel of the new 2019 Subaru WRX STI Rally cars. Subaru went after big fish to win and hooked the most successful driver in Rallycross. The big news for 2019 Subaru Motorsports is rallycross champ Scott Speed will be behind the wheel of a Subaru WRX STI Supercar in 2019. In a surprise move, Subaru announced 2018 Americas Rallycross (ARX) champion Scott Speed will move from Andretti Autosport’s Volkswagen team and join with Subaru Rally Team USA for the 2019 ARX season. Speed was this year’s ARX champion and Subaru and its fans are thrilled the top Rallycross driver has made the switch. Speed scored a pair of victories at the Circuit of The Americas and at the Grand Prix de Trois-Rivieres in Canada and secured the championship in a final-round title-decider. Scott Speed will defend his title by racing a 2019 Subaru WRX STI for SRT USA. Speed will join Team drivers Patrik Sandell and Chris Atkinson for a three-car effort aimed at capturing their first ARX title.